Please have a look at our new ultra compact Light Weight Rig, a unique 11-axes motorization with auto-alignment and the smallest professional beam-splitter rig on the market, the STEREOTEC Nano Rig. 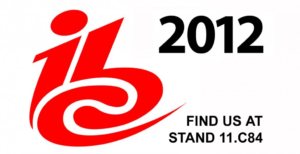 You will find us at IBC 2012 in Amsterdam from September 7-11 at booth 11.C84 (Mid Size Rig and Nano Rig with 3D live plackback, Side-by-Side Live, Side-by-Side Mini Closed), at the Sony booth 12.A10 (Light Weight Rig with 3D live plackback), in the Production Village in Hall 11 (fully motorized Mid Size Rig), at the Wige booth 11.A54 (Side-by-Side Mini Rig) and at the Stereolabs booth 11.F61a (Mid Size Extended Rig). Or you join us for a pool game during the Cinec in Munich (September 22-24) at the Chrosziel booth 3-A01 – and enjoy watching a 3D + 2D set-up (capturing 3D and 2D simultaneously with a single camera system).